Loud amps in your face. Regular exposure to loud noises might have catastrophic consequences if hearing is not protected proactively. With hearing being a complex system, there are a myriad of complications that can arise from constantly turning the amps to 11, preventable permanent hearing damage being only one of them, i.e. hair cell damage resulting in them no longer being able to carry sounds to the nerve cells. We all would have experienced the warning signs indicating damage, e.g. the ringing noise persisting long after a live concert. Others would have experienced tinnitus, which is about four times as likely to occur amongst musicians as with other demographics. The crux is that once your hearing is gone, there is no real remedy. Protection is essential in any loud environment, no matter if you are on or in front of the stage. The first and easiest step to protect your hearing is to get a cheap pair of those foam earplugs. They are omnipresent and can be easily procured at hardware stores and pharmacies. While they are better than nothing and do the job of reducing the volume, they also come with the disadvantage of reducing higher frequencies and subsequently produce muffled or muddied sound. More sophisticated materials, e.g. silicone, in plugs manage to reduce all frequencies equally, which helps to still get an accurate impression of what is going on. EarPeace’s protection system fits the job. They manufacture hearing protection that makes music still sound good and feels comfortably to wear. My preferred variant, i.e. the HD triplets, come with three plugs each, three attenuators, i.e. sound redactors - which come in black for maximum sound protection (19 dB sound reduction), red for high sound protection (14 dB sound reduction) or flesh-coloured to provide medium protection (17 DB), and a handy little milled aluminum case with a keyring link that makes it easy to keep them around whenever needed. 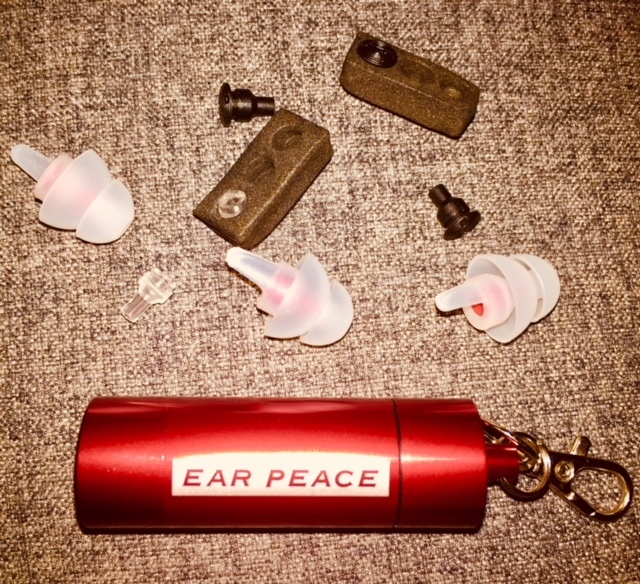 What I like about the hypoallergenic silicone EarPeace sets is that they are designed to fit snugly in your ear and virtually disappear, while they are fairly easy to maintain and clean. The dual-flange system comes with a pull tab for easy removal / insertion and the material even allows for them to be washed in warm soap water without impacting their quality. 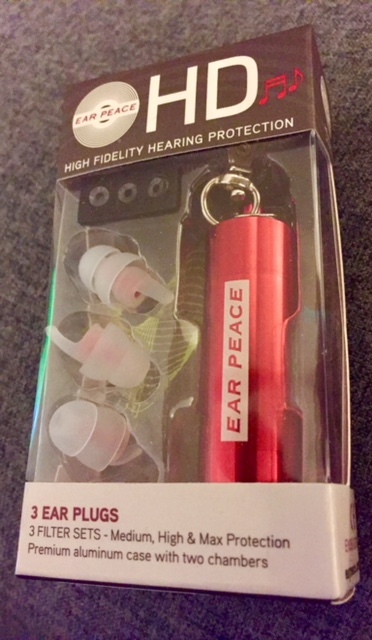 While EarPeace might not be as well-fitting as custom made ones, once you get used to them, they are borderline unnoticeable plus they come at a much more reasonable price tag. They do an amazing job at dialing down the volume while maintaining nuances, which is essential for musicians and the option to have three levels of sound protection to fit the occasion along with a spare plug is a nice touch. A highly competent, discreet and comfortable system with a solid presentation made of high-quality materials offered at a reasonable price, which democratize professional grade hearing protection.